Ikoma City is situated in the Northwest of Nara Prefecture and developed around 宝山寺 which was founded in the Edo period. 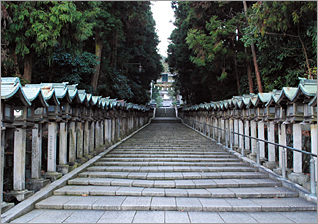 Ikoma City is the town where the history is deep, and there are temples & shrines which have appointed to the important cultural property. *Click on the images or pins on the map for more information.